Jacky Groenewegen (Certified Thermographic Technician), owner Mindful Wellness Medical Thermography, opened her thermography lab in 2013. 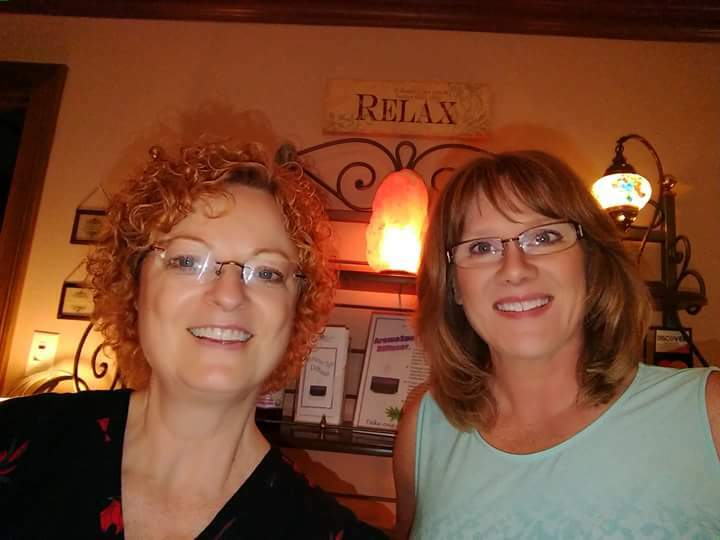 She loves the way that her background of also being a licensed massage therapist has enhanced her ability to work with people as they navigate their wellness journey via thermography. It’s a privilege for Jacky to help her clients monitor and improve their health through thermography, massage and providing holistic solutions through a monthly newsletter, blog and Facebook posts. Thermography is a safe adjunctive screening tool for men, women and children. Breast thermography can identify areas of concern up to 10 years before more traditional tests. Jacky Groenewegen, holds many certifications in thermography, therapeutic massage, Healing Touch, aromatherapy, and guided imagery. Since 2005, she has run her own massage therapy private practice as well as a holistic wellness business which sells body brushes, guided imagery CDs, and therapeutic grade essential oils. In 2013, she expanded her practice to include Thermography Scans. She frequently speaks at health fairs, networking events, and private meetings promoting the benefits of thermography in the entire greater Cincinnati, Ohio area and beyond. Jacky is passionate about the safety and benefits of thermography. Your thermography scan offers a safe, proactive way to manage your health. Your Breast Thermography or thermoscan is a no contact, no radiation, no compression health monitoring tool. It is very common for individuals who receive their first or subsequent thermography scans to complement Jacky on her ability to fully explain the thermography process. In addition, her clients feel completely at ease with Jacky during their breast thermography scan. Jacky takes great pride in offering full body thermography scans, breast thermography scans or head & torso scans. Her office is located north of Cincinnati, Ohio in West Chester. Robin has been a Licensed Massage Therapist and Owner of Massage2Wellness for 16 years. She has worked alongside Chiropractors and Physical Therapists to come together and help patients with their health goals. Her desire to help people from the holistic side of health care continued to grow and expand. With the loss of her father from diabetes, heart disease, strokes and dementia, all chronic diseases that were preventable through healthier lifestyle choices, she decided to go back to school and became a Certified Integrative Health Coach through the Institute of Integrative Nutrition in 2013. She works with clients to meet their health goals through educating them on nutrition and lifestyle changes that are specific to them. She enjoys doing workshops and educational events that empower others with simple changes in their health journey. Robin was introduced to Thermography from a good friend who was diagnosed with 3rd stage breast cancer that was found because of her thermogram she had after two failed mammograms. Because of this thermogram her friend had, it saved her life! Seeing the benefits of what thermography can do for people in their health and wellness journey, in 2018 she became a Certified Thermography Technician with BTI. Offering mobile thermography, she will be able to go out and reach more people in the Cincinnati, Dayton and Northern Kentucky areas. Robin is on a mission to equip others with the tools they need to live a long healthy life. It’s better to be proactive about your health then reactive about your sickness.